Click here for details and photos from this event. Click here for details and pictures from this event. The New England Chapter hosted an Education Conference and Chapter Dinner Meeting at the Holiday Inn, Tewksbury-Andover, MA. The education portion of the program consisted of 3 days of CE and certification courses held in conjunction with Spruce Radon Training, RadonAway and AccuStar. The courses included Residential Radon Measurement, Contract & Guarantee Writing, Marketing Your Radon Business, and Radon In Water. A highlight of the event was the official kickoff of the Massachusetts leg of the Radon Tee World Trek 2010. Also at the meeting, NE AARST members elected officers and board members. Click here to view pictures from this event. CanSAR’s Radon Tee World Trek 2010 came to Massachusetts! Click here to read more and see pictures from Radon Tee’s visit to Massachusetts. Click here to BECOME a Member of New England AARST or to RENEW your Membership for just $50.00 per year. Our industry association needs our support. Click here to join AARST now! 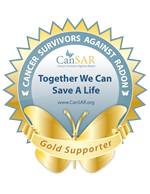 Cancer Survivors Against Radon (CanSAR) is dedicated to preventing radon-induced lung cancer and saving lives through education and awareness. Click here to visit the CanSAR website. Copyright © 2015 NE AARST. All rights reserved.